We stole this picture from Dan Adelman’s Twitter. We got our hands on the anticipated Metroidvania-style game, Chasm, at the PlayStation Experience, and it’s shaping up to be a real winner. 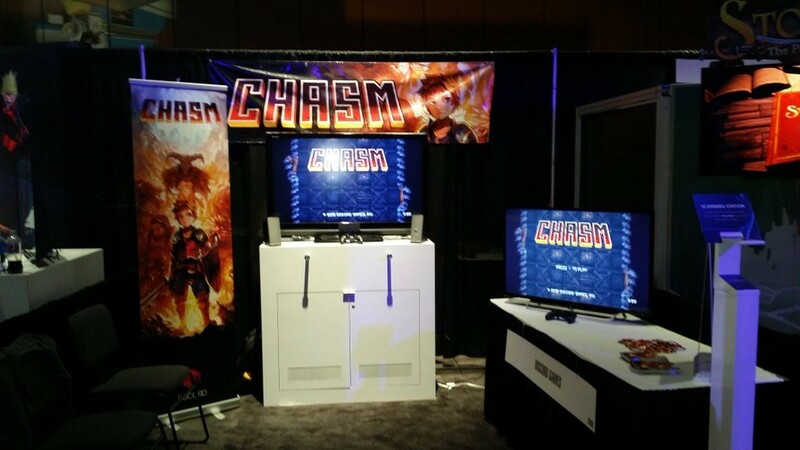 Chasm came to fruition as it was funded through Kickstarter a few years ago and unfortunately fell victim to numerous delays. Though there still isn’t an exact release date, the developers at Discord Games are targeting 2016 once and for all. At first glance, it looks like any other Metroidvania with even more similarities to the newer Castlevania games due to its RPG-like intricacies, but that’s where the similarities end. Sort of following the path of roguelike titles such as Spelunky, each playthough of the game will be different as each level is randomly generated to an extent. The first part of each level is staged until you get to a certain point, and then the following rooms throughout the dungeon become procedurally generated. So each room is made by hand, but they’re shuffled throughout which pretty much makes a speed-run impossible. 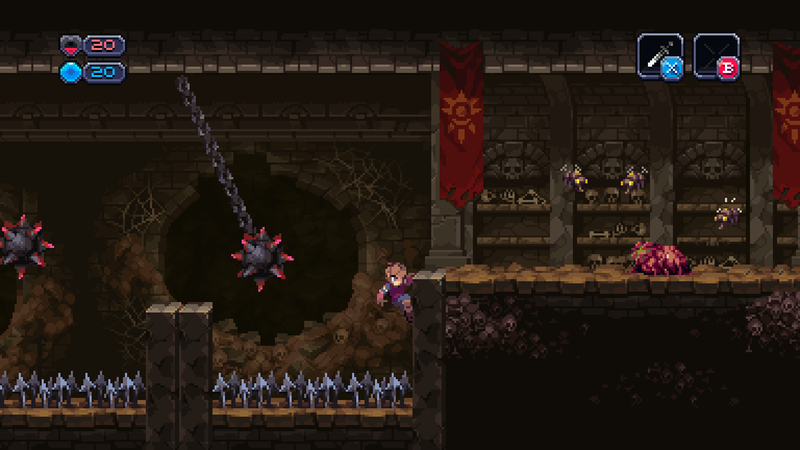 Chasm‘s levels and procedurally generated, so careful play is ideal. As for the RPG elements, they’re pretty standard. You can press a button to go into the in-game menu where you can use healing items, and upgrade your own attributes. It even has a bit of Zelda mixed into it as you also can change up your weapons and gear. There’s even shops and people to talk to outside of the mines, which is definitely an ode to the various towns you come across in Zelda II. Other than the level’s boss, the demo I played wasn’t excruciatingly difficult. If you’ve played a Metroidvania before, you’ll be in pretty familiar ground. The controls are tight and fluid, and because I was playing pretty carefully, I was able to clear rooms with ease. It wasn’t until I reached the level’s boss where I died. It was unfortunate too, as I had just figured out how to attack it when it happened. To say Chasm has our attention is an understatement. While we don’t have an exact release date for it, you can expect us to have the latest on this game as it becomes available. Keep it tuned to SmashPad for more from the PlayStation Experience.